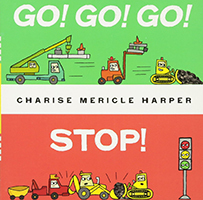 Charise Mericle Harper has written and illustrated numerous children’s books, including Pink Me Up! ; Cupcake; When Randolph Turned Rotten; and the Bean Dog and Nugget series. She lives in Mamaroneck, New York, with her husband and their two children. Charise loves creating art and stories, petting her cat, drinking coffee, and eating pie.